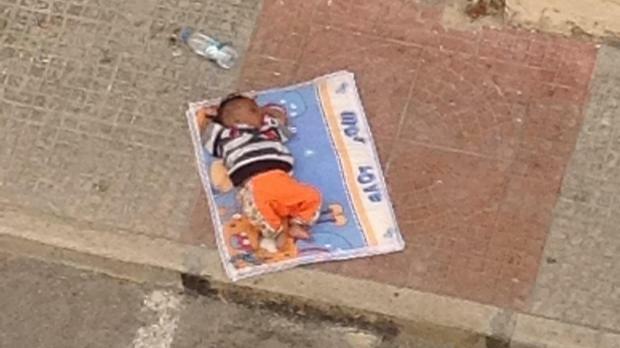 A migrant baby seen at the police HQ yard this morning. A group of 102 migrants was brought to Malta early this morning, bringing to 400 the number of arrivals in a week. The new group included 41 women and two babies. The migrants were spotted on a dinghy close to the Delimara coast and escorted to the AFM Maritime Base by a patrol boat at about 6 am. 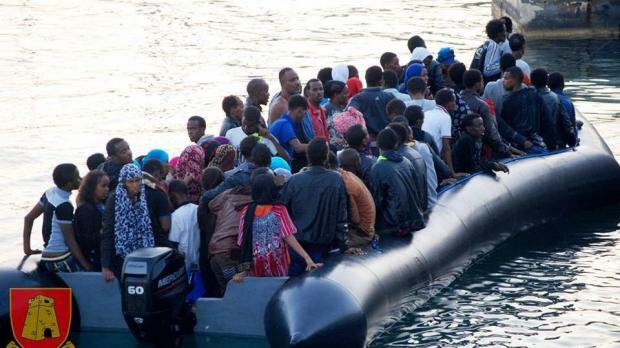 A group of 290 mostly Eritrean migrants was brought to Malta on Thursday. Last week's arrival prompted Prime Minister Joseph Muscat to warn the EU that Malta would demand solidarity from other EU member states and would use its veto on unrelated issues to press its point. Dr Muscat phoned EU Council president Herman Van Rompuy to give him “formal notice” of Malta’s intentions. Mr Van Rompuy is due to visit Malta on Thursday on a previously scheduled visit. Dr Muscat also declared himself in favour of a push-back policy while saying Malta would be compassionate with the migrants, but firm with politicians from whom it expected solidarity. The migrants on their dinghy this morning.